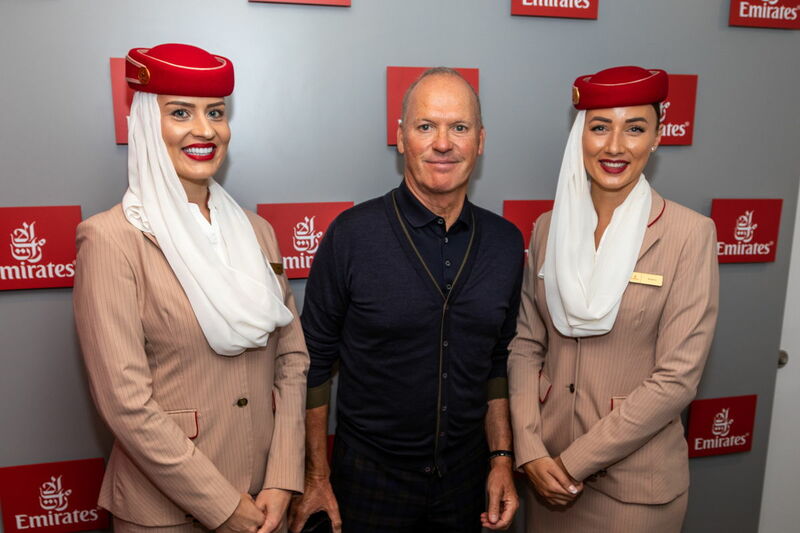 DUBAI, UAE, 2018-Sep-11 — /Travel PR News/ — Emirates played host to the stars at the 2018 US Open at The USTA Billie Jean King National Tennis Center in Flushing Meadows, Queens in New York City. Celebrities joined Emirates in the private hospitality suite and cheered on tennis pros from the suite’s terrace with a prime center-court vantage point in Arthur Ashe Stadium. This entry was posted in Airlines, Entertainment, Festivals and Events, Travel, Travelers and tagged 2018 US Open, Armie Hammer, Billie Jean King, Emirates, Gladys Knigh, Jeffrey Wright, Jenna Bush Hager, Michael Keaton, Michael Shannon, Pierce Brosnan, Priyanka Chopra, Savannah Guthrie, Sophie Turner, Tennis Center, USTA, Wayne Gretzky. Bookmark the permalink.